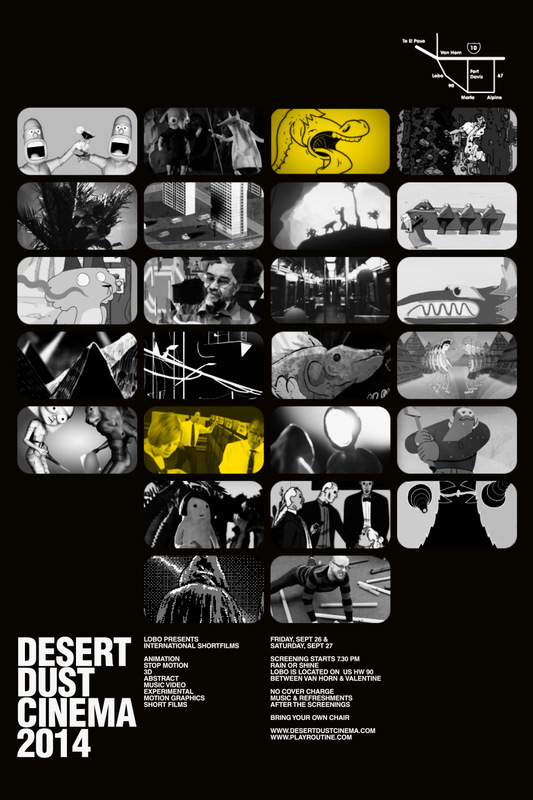 Seven weeks before the Desert Dust Cinema 2014 will start in Lobo/Tx, the program schedule is almost complete. About 25 international short films, splitted in two programs for friday 26th and saturday 27th of september will be screened onto the outside wall of the former Lobo gas station. All participating filmmakers are providing the rights for the screening at this uncommercial festival for free, so there’s a big “Thank You” going out to all artists. A short documentation will be going online hopefully soon after the end of the DDC 2014 on the festival’s website and on this news section too.